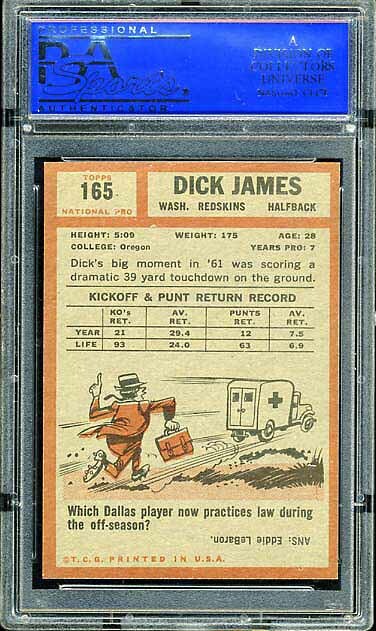 Business is about to pick up. 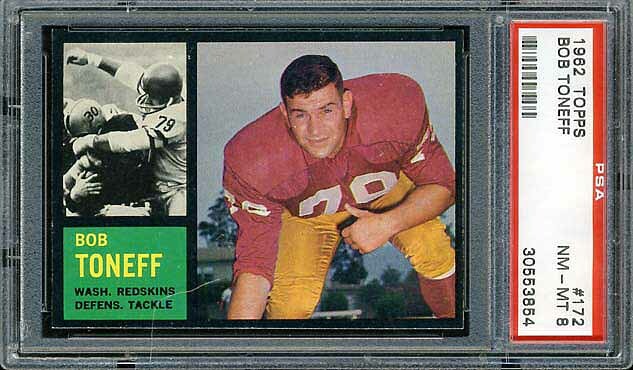 After a fairly dry run of sets from 1959-1961, the 1962 Topps issued one of their best sets ever. 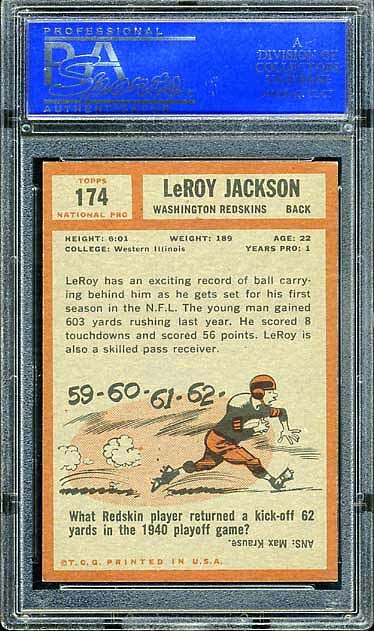 I definitely like sets with colored borders (as you will see when we hit 1971). 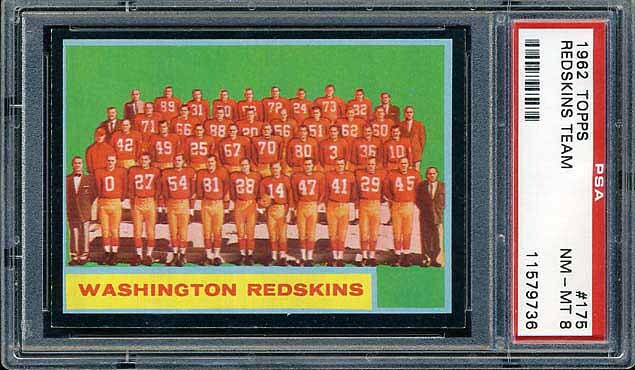 The colored borders of the 1962 Topps set make this a difficult set to assemble. 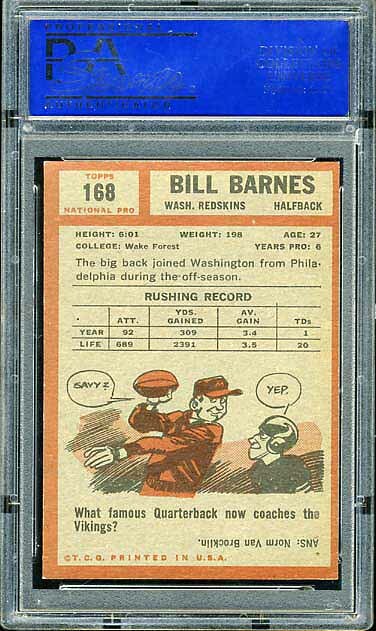 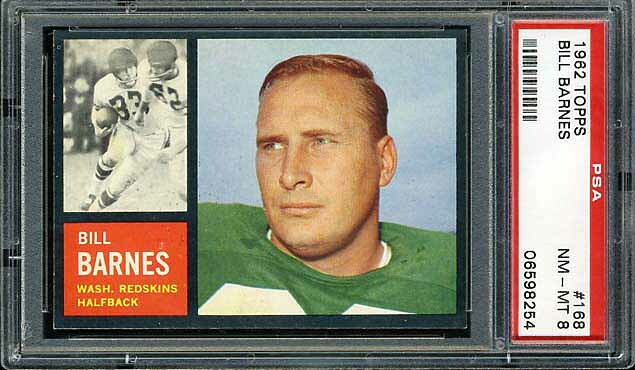 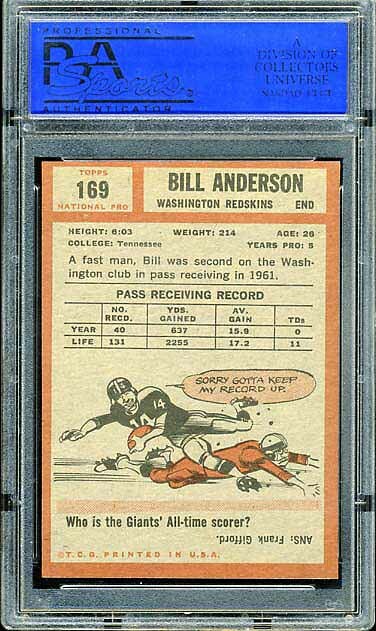 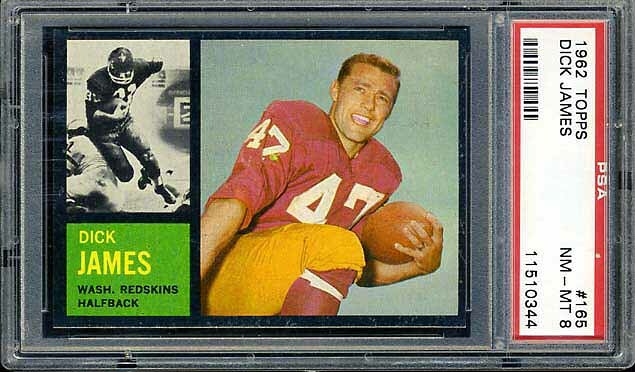 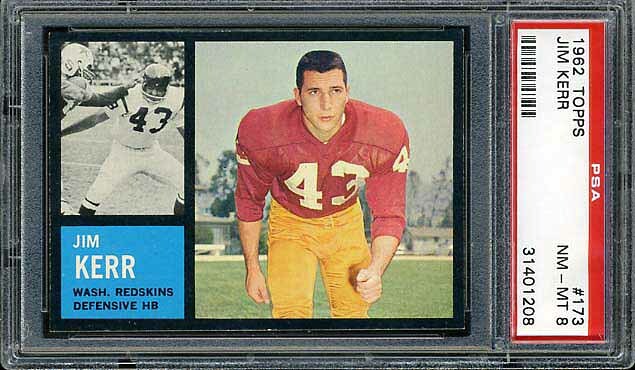 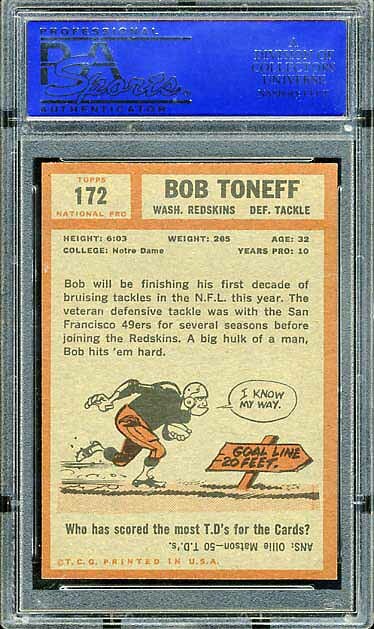 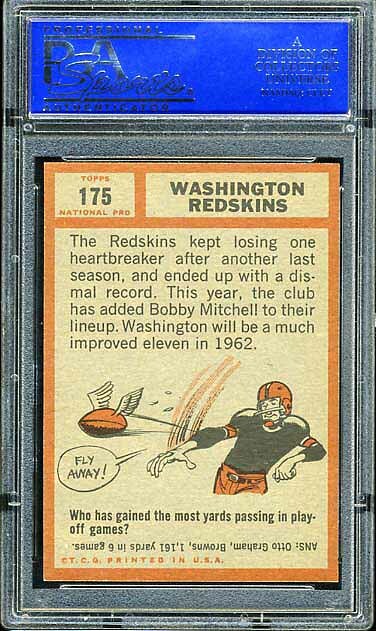 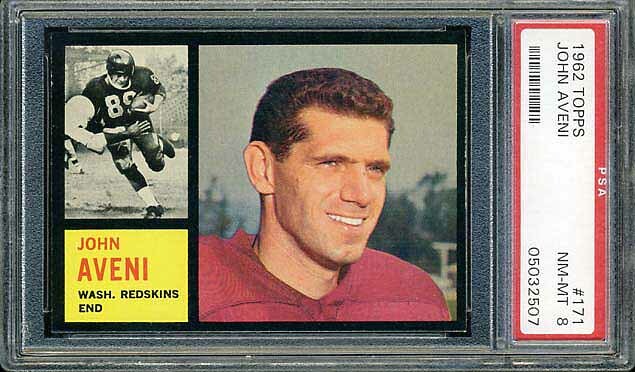 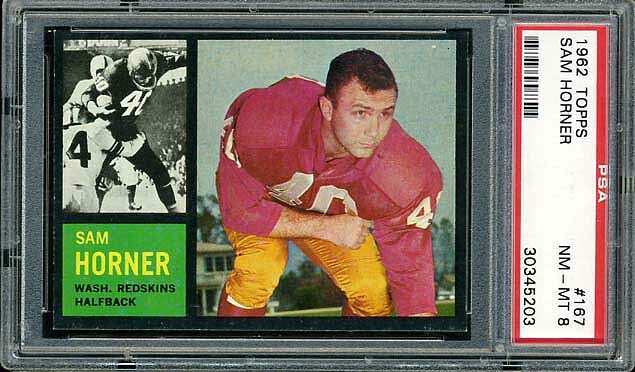 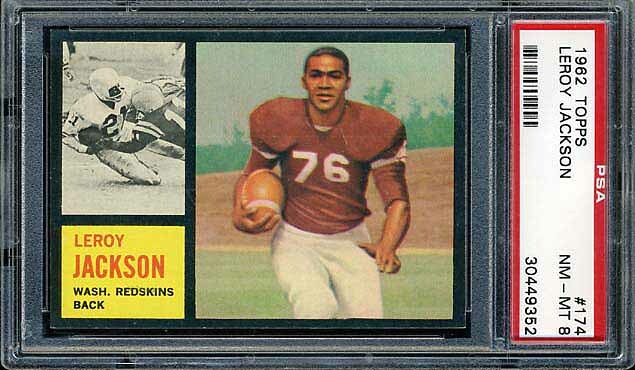 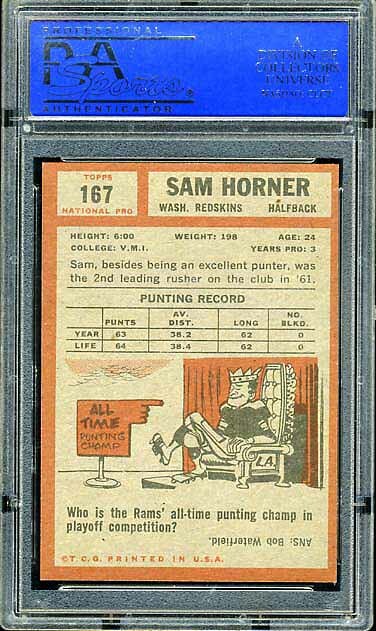 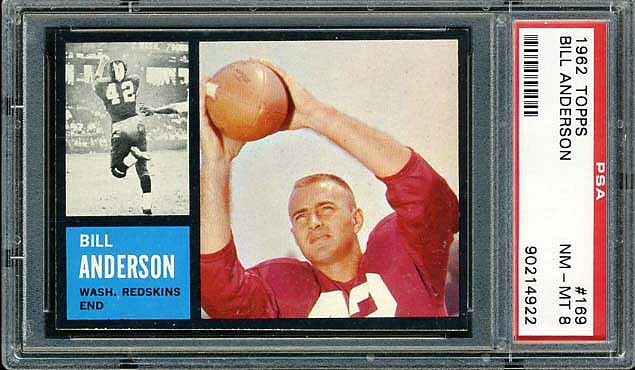 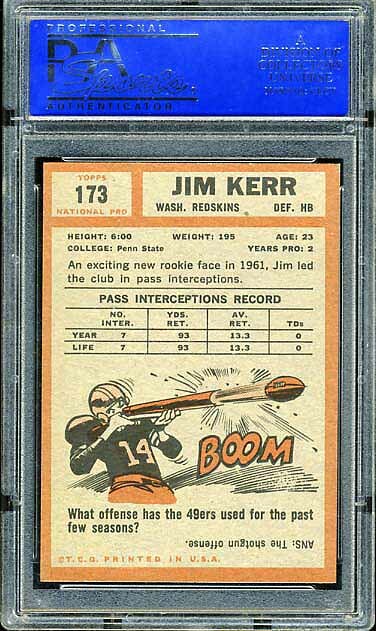 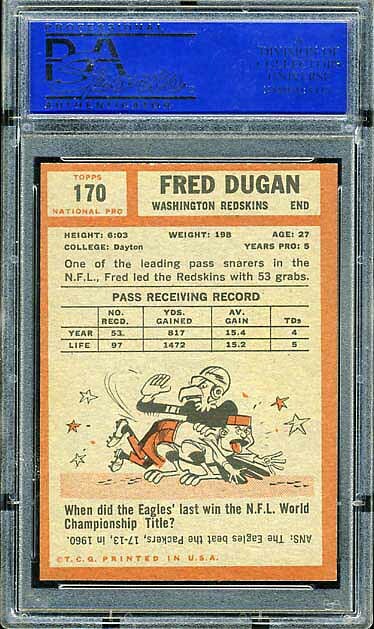 The Redskins team set from the 1962 Topps issue appears below. 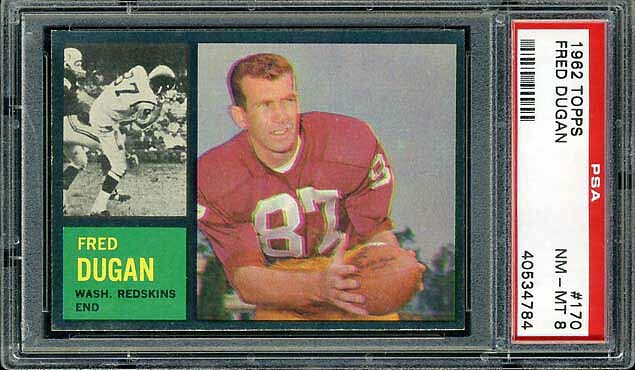 The key card in this set is the rookie card of Norm Snead (which is also a short print). 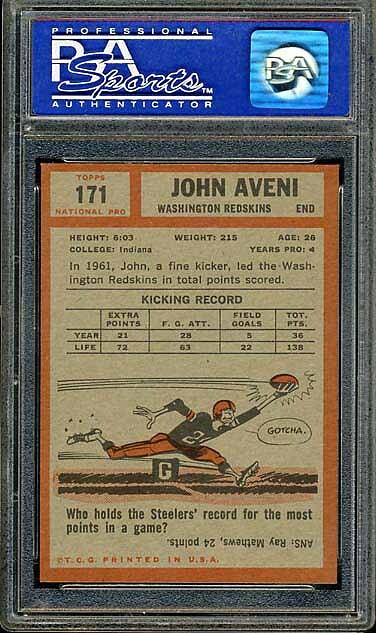 John Aveni and Leroy Jackson are also short print cards. 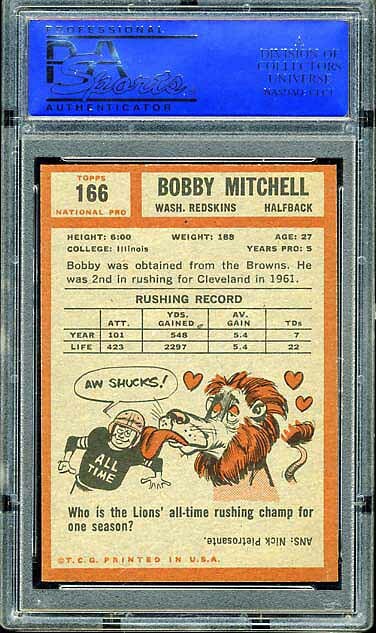 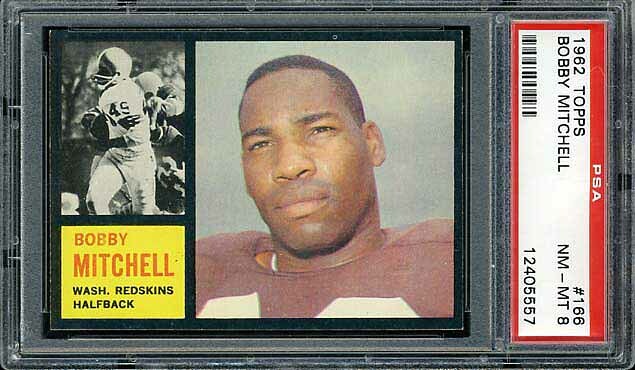 This set also features the first Redskins football card of Hall-of-Famer Bobby Mitchell.